Second Thessalonians was written to a people bombarded with sensual images and pleasures from the world. Paul's advice to these people, so young in their faith, contains profound truth that is just as relevant today as it was back then. 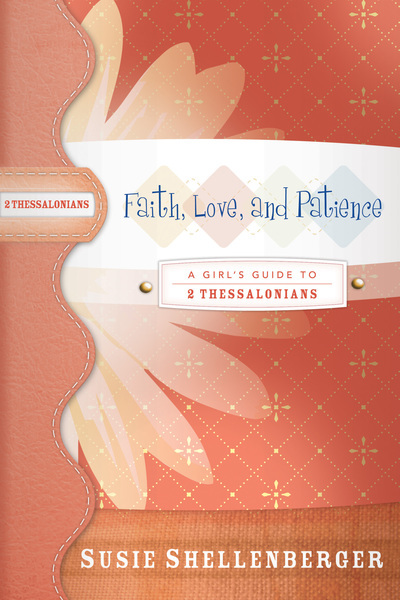 In a world that is attacking minds with the same sexually explicit messages, Thessalonians couldn't be more pertinent. Now, Faith, Love, and Patience brings these words of wisdom in a form that teenage girls will find irresistible. The study brings Thessalonians to life with contemporary language, stories, discussion questions, and journaling opportunities to coincide with Scripture itself. This study is attractive not only because of its colorful dialogue and format but because of its incredibly affordable price as well.